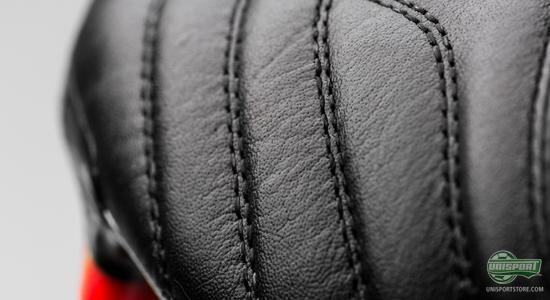 Today we will be taking a look at one of the most rapidly developing facets on the boot market, that has also been the most successful of late. It's leather boots, but with the advantage of being incredibly light. It is a combination of comfort, natural touch and a weight, that is so low, you wont even notice you are wearing them. Read all about it here, where we will taking a look at six of the markets sharpest options. 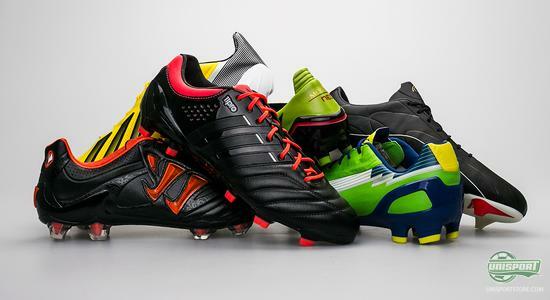 The request for football boots that weigh as little as possible, has sky rocketed in the last couple of years and the biggest brands have responded. But now it is no longer enough with low weight. New demands have risen; comfort and touch are now just as important and this has once again gotten Adidas, Puma, Mizuno, Pelé Sports and Warrior Sports out of their seats, as they continue to dig deeper into their box of magic tricks. The solutions to the predicament above are very limited, as you might be able to guess from the upper used. Here every single one of the brands has come to the conclusion, that leather was the way forward, even though it isn't normally a material you associate with speed, but it is now. Whether it is exclusive kangaroos leather or treated and tanned calf-skin, it has definitely added a brand new dimension to the boots with; comfort and touch like a classic leather boot, but with the distinct advantage of low weight. 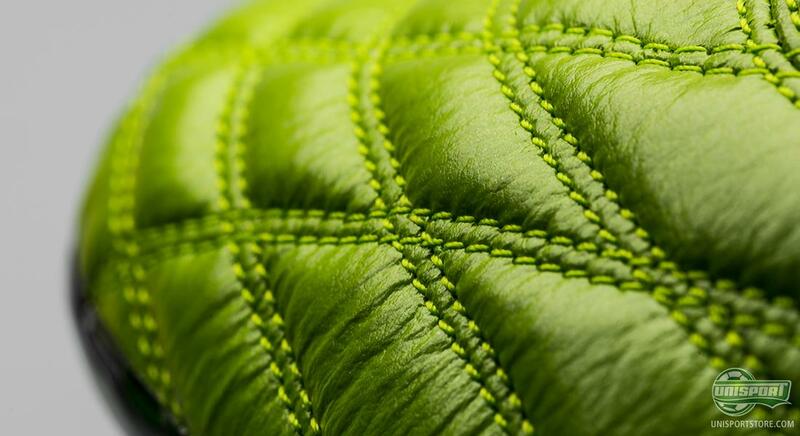 The lightest of the bunch, clocks in at just 170 grams  but with kangaroo leather! It shouldn't be possible, but some how it is. 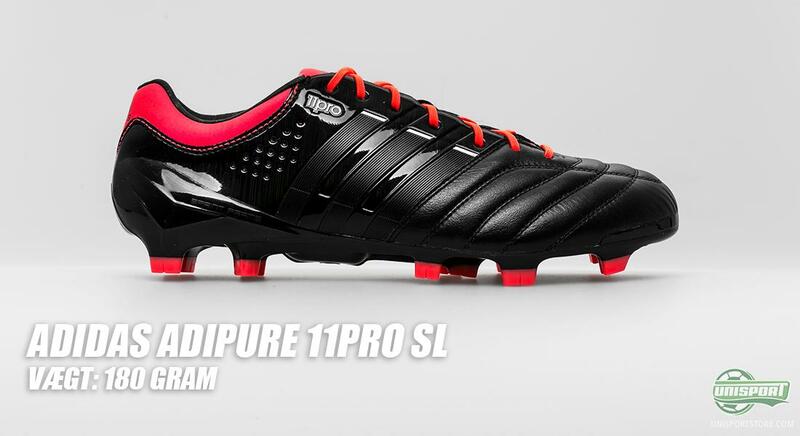 At the other end of the scale, the heaviest weighs marginally over the 200 grams, but this is still a good 100 grams less than the classic alternatives like the legendary Adidas Copa Mundial and Puma King. We start from the top, in any case when it comes to weight and here the new kid on the block stakes his claim. 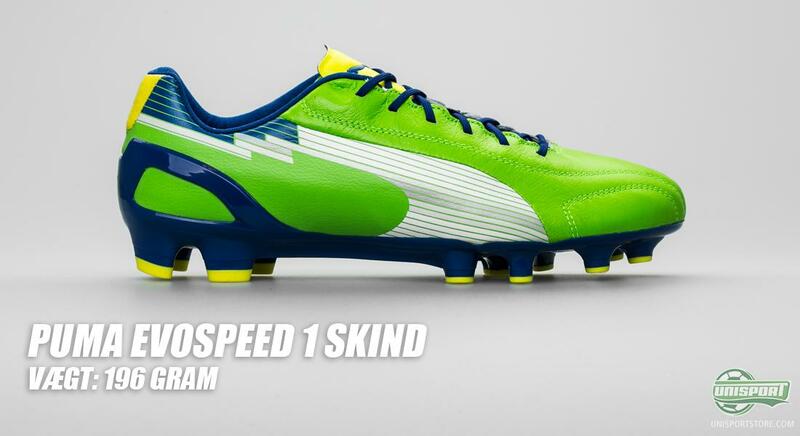 It is the American brand Warrior Sports and it is actually their first shot at a football boot. 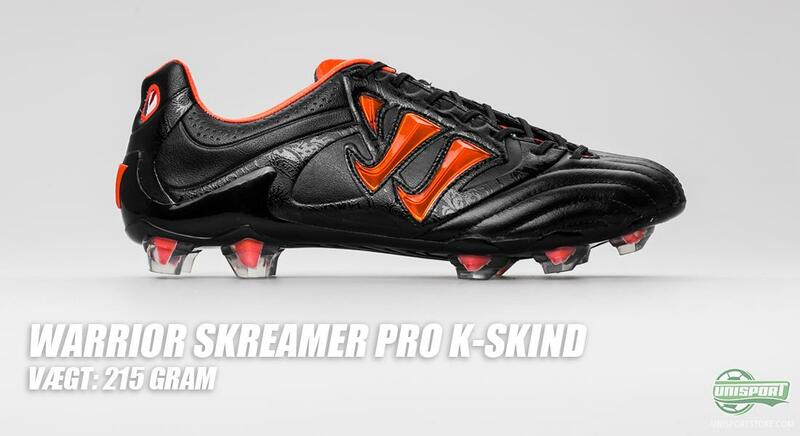 The result is the Skreamer Pro K-lite, that bases itself on an upper from exclusive and greatly appealing kangaroos leather. This has added to the weight, but doesn't stop it from weighing just 215 grams, despite it having second to none comfort and ball feel. 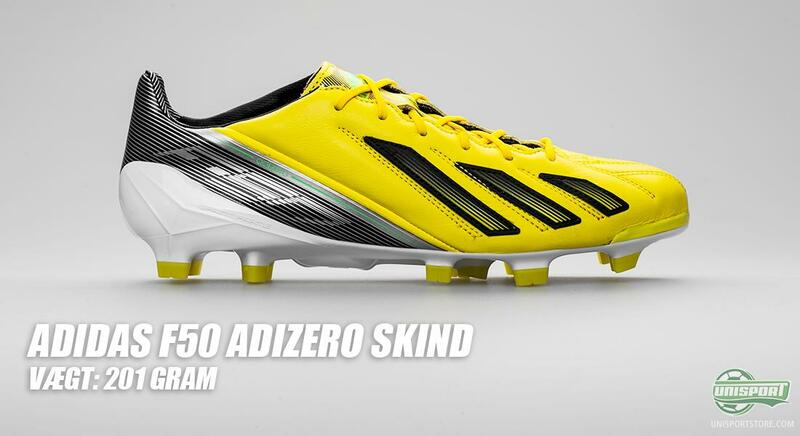 The next boot on the list is the fourth generation of Adidas' revolutionising lightweight silo F50 Adizero. It comes as always in two types; one with a synthetic upper and one with a leather upper. It is qua the articles focus area, the latter of the two, we are interested in and this is for good reason. 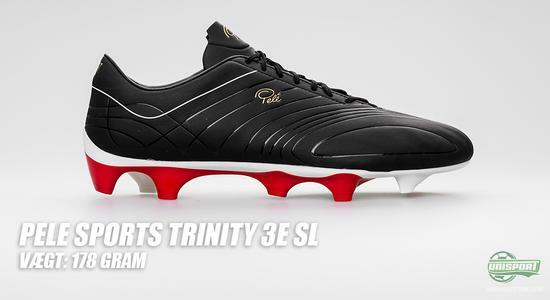 Never before have Adidas covered the F50 Adizero in more leather  it is their delicious Goleo calf-skin, that has been used on the vast majority. A worthy heir to the already iconic silo, that can be seen on the feet of Lionel Messi and a large range of other star players. Puma EvoSpeed 1 K-Leather is the German brands shot at a boot, that combines Flex, Fit and light, which it does with flying colours. We are getting used to high levels of comfort from Puma and these parameters are only enhanced, when paired with an upper of kangaroos leather, that covers most of the boot. 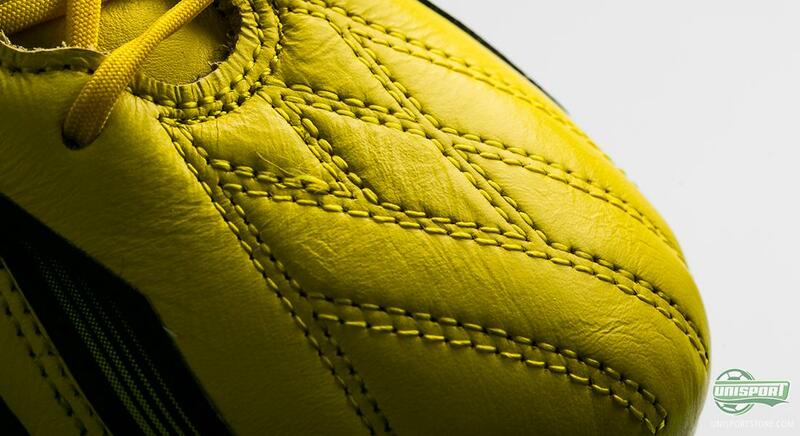 This has made us great fans of this boot and we fear, that we have to enjoy it while it lasts, because Puma have proclaimed, that they are working their way away from the use of kangaroo leather. Adidas actually have two representatives in the top six and as a matter of fact this candidate is lighter, than the formerly mentioned F50 Adizero. In fact it is 21 grams lighter and this is after all quite a bit. It's the Adidas Adipure 11Pro SL, which is the ultralight, ultra-awesome upgrade from the German modern leather classic. 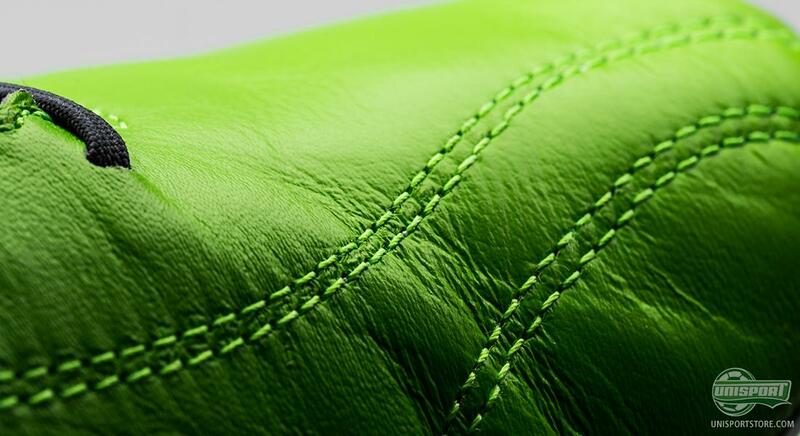 Here an upper of kangaroo leather on the front foot and microfibre from the mid foot to the heel combines, to create stability and keep the weight as low as possible. We are starting to get to the really crazily low weight leather boots and the second lightest on sale, comes from one of the newest brands on the market. It's the Pelé Sports Trinity 3E K-leather, that can boast a weight almost worthy of ridicule, as it weighs just 178 grams. Again the common denominator is kangaroo leather, that is tanned with something Pelé Sports transiently call military technology. This has made it far more durable and water resistant, so it does not take in unnecessary water, in wet conditions, which would otherwise add to the boots weight; thumbs up for that idea. Japanese Mizuno might not have a big following here in Europe, as they have in their homeland, but that shouldn't take anything away from their incredible Morelia Neo, that takes the top spot. 170 grams is the weight and that is definitely something that begs belief, as well as the fact, that it feels like its name brother; The Morelia. 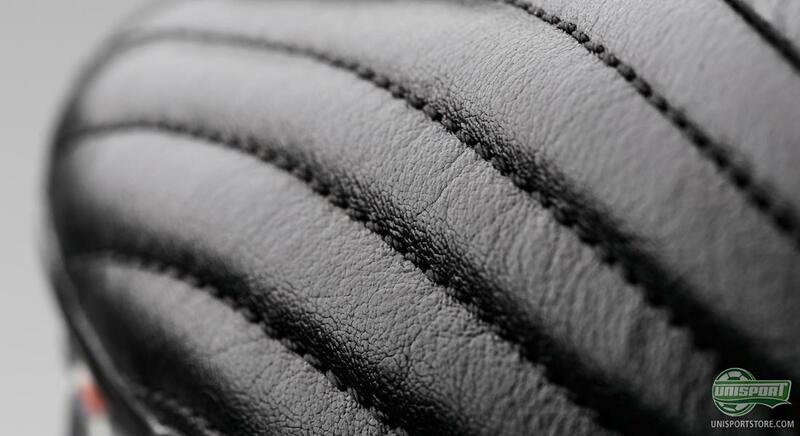 The kangaroo leather still gives fantastic comfort and a touch and feel, as natural as you could possibly hope. 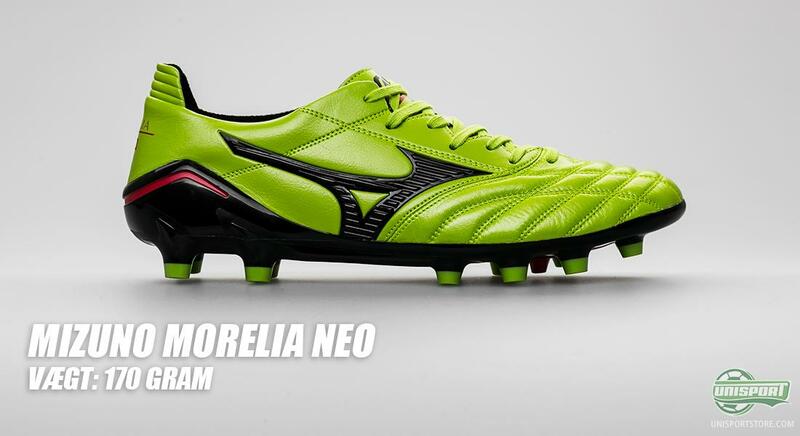 If Mizuno continue to brush off and refine the Morelia Neo, there is no telling how far this brand from the far east will go. It's a crazy list, that manifests the fantastic development, that football boots have been through in the last couple of years. 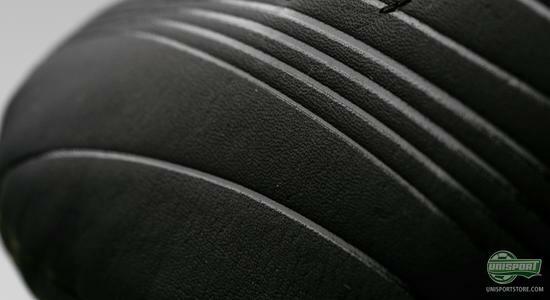 That you can push the weight of a leather boot so far below the 200 grams mark, without compromising on its soul and ethos is incredible and admirable. 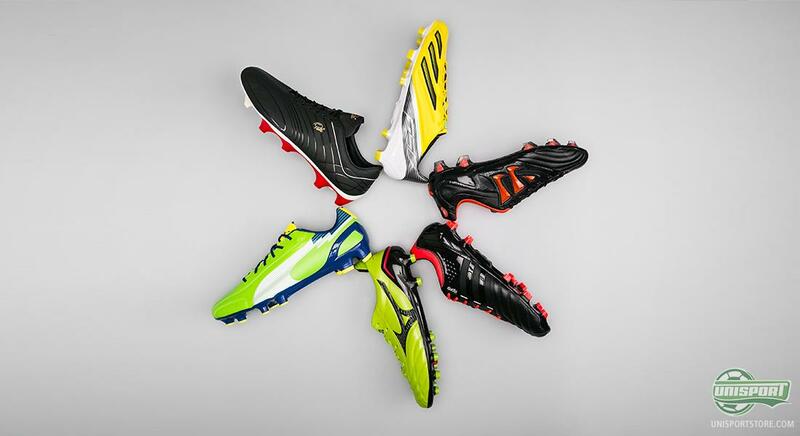 Which of the six boots is your favourite? And what is your opinion of lightweight leather boots? Share your toughts in the comment-section down below.